Sequence is an important data structure in any programming language, especially in Lisp. In this article, we will look at how it is built and what can we do with it. 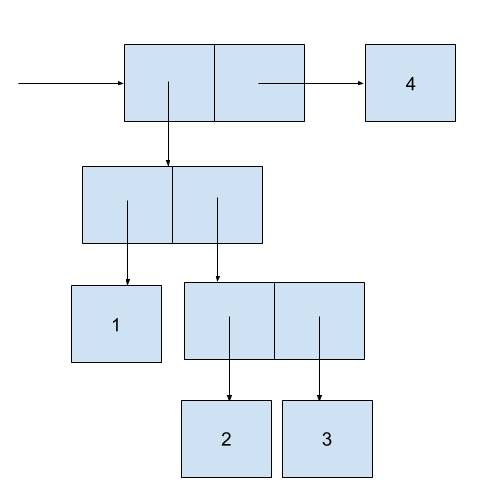 Pair is a very simple data structure, it glues two objects together, and provides selectors for each of them. Each object is shown as a pointer to a box. 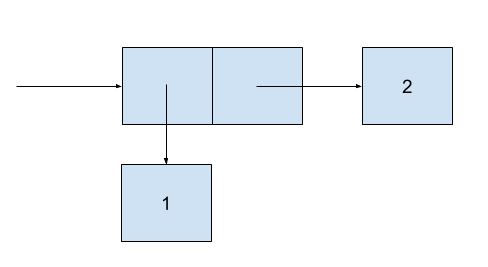 The box for a primitive object contains a representation of the object. For example, the box for a number contains a number. The box for a pair is actually a double box, the left part containning the first object of the pair, and the right part containning the second one. car is the selector for the first object and cdr is the selector for the second object. 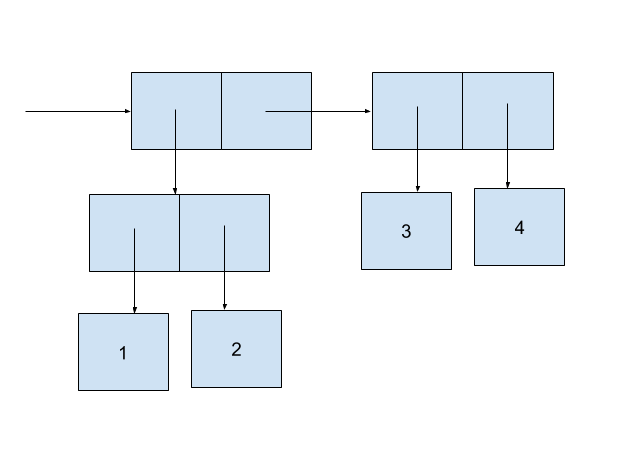 Now we can construct sequences(an ordered collection of data objects) by chaining pairs. Such a sequence of pairs formed by nested cons is called a list, and Scheme provides a primitive called list to help with creating lists. car selects the first item in the list and cdr select the rest items (a sublist) of the list. We implement this by cdring down the list and stop at the right element. Sometimes we need to cdring down the whole list, so we need a way to stop. Primitive null? tells if a list if an empty list. Now let’s implement a function to calculate the length of the list. We can also write a iterative version. This is implemented by cons up a result list while cdring down a list. Write a function to reverse a list. Write a function to get the last pair in the list.